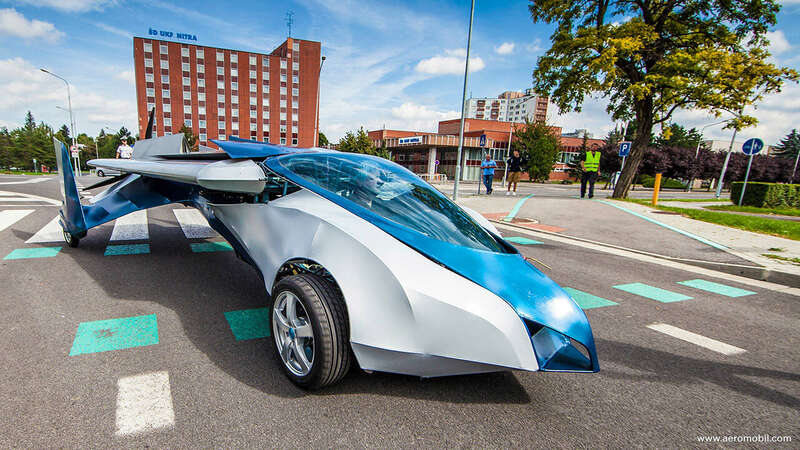 The world’s first production-ready flying car, which transforms from an automobile to a plane in just several seconds, has been unveiled to the public in Vienna by its Slovakian inventors. The presentation of AeroMobil 3.0 took place at the Pioneers Festival in the Austrian capital of Vienna on Wednesday. “Really, I dedicate of this topic practically 25 years and I started really in garage with my father and with my brother and we made several projects, several prototypes, and now it's time that we can present the real concept,” AeroMobil co-founder and CTO, Stefan Klein, said. The AeroMobil 3.0 transforms from a car to a plane by unfolding its wings, which are located behind the cockpit where the rear seats in an ordinary car would be. The compact vehicle is designed to be able to drive in road traffic and fit into a standard parking space. The flying car requires a paved or grass strip of around 250 meters to take off, and just 50 meters to land. Powered by a Rotax 912 engine, it can reach speeds of up to 160 kilometers per hour on land and 200 kilometers per hour in the air. The AeroMobil 3.0 runs on standard automobile gasoline and can be re-fueled at any petrol station. The fuel consumption stands at 12.5 kilometers per liter while flying, and 15 liters per hour while driving. A pilot’s license would be required to fly the car, which has all the safety features present in other airborne vehicles – including autopilot, avionics, and a parachute deployment system. The vehicle "has behavior as normal plane, is fantastic in air, and very nice on the earth. And as here I said, my idea was because I wish I was connected with emotion, with passion, with freedom, and present now an object that can open connection between people,” Klein said during the presentation. The flying car has been successfully tested in the air. However, Klein and his business partner, Juraj Vaculik, say they aren’t taking orders yet, because a standard production process still needs to be perfected. When the AeroMobil 3.0 finally goes on sale, it will cost less than a small plane, but more than a speedy sports car, according to the inventors.